Meet your new AR-15 rifle. 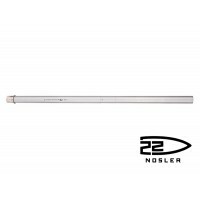 The only thing required to change to the new 22 Nosler cartridge is to swap the upper for one chambered in .22 Nosler speedy cartridge and switch over to 6.8 magazines. This effortless two-step retrofit will allow shooters to experience the 22 Nosler’s lightning fast, hard-hitting performance, while still being able to use their existing 223 bolt carrier group. 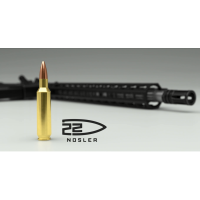 The new 22 Nosler should perform well against small game, varmints, and even larger game like deer while using a platform that most shooters know and love with a familiar control layout, AR-15. AR 15 .22 NOSLER 18" STAINLESS STEEL SBR UPPER ASSEMBLY - The new .22 Nosler is an upgrade to your standard AR-15 rifle. It offers a significant increase in velocity and energy without having to buy a specialty bolt. 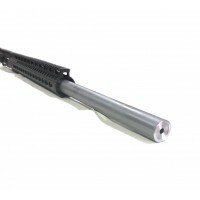 Supercharge your AR-15 in two easy steps - change your upper and use your 6.8 SPC m..
AR 15 .22 NOSLER 24" STAINLESS STEEL BULL UPPER ASSEMBLY - The new .22 Nosler is an upgrade to your standard AR-15 rifle. It offers a significant increase in velocity and energy without having to buy a specialty bolt. 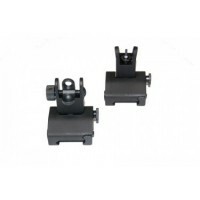 Supercharge your AR-15 in two easy steps - change your upper and use your 6.8 SPC ..